In Nicolás Correa we have accumulated a lot of experience in the machining of rolling stock structures as well as line structures for the railway sector. Because of its wide range of heads and its automatic change system, which includes small attachable heads. 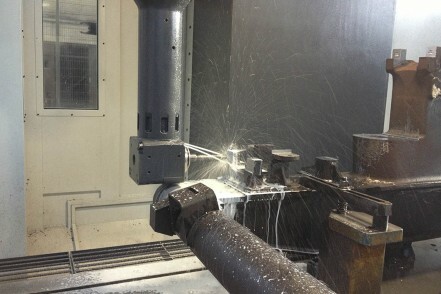 This system enables the machine to access all areas to be machined without having to move the part. Complex heads defined specifically to machine crankshaft and camshaft supports in the engine block. Because of the capacity of its indexing heads: operations with long tools and shock absorbing capacity when vibrations are generated in the part. The head maintains its position even in the event of strong vibrations in the part. Integration of mechanical and hydraulic tools and zero point systems into the machine. 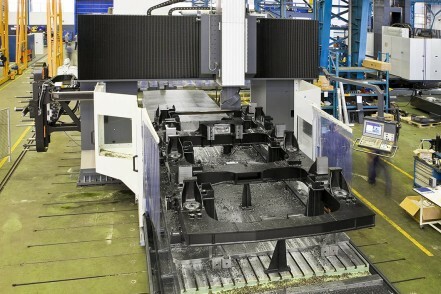 Because of its extensive experience in machining bogies. Ask for our list of bogie models that have been machined by Correa machines throughout the world. 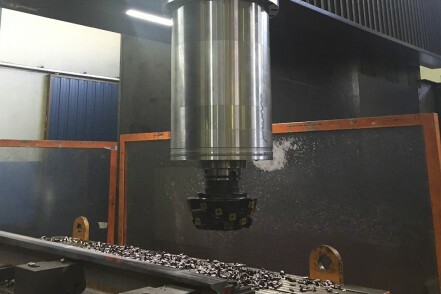 Because we have developed a specific solution for machining points and crossings, thanks to the use of the FCT high torque front head with double contact clamping. Because we have decades of experience in the design and integration of magnetic tools for clamping points.